Welcome to DEXCell Energy Manager! If you need some help to start working with our platform very quickly this is your tutorial! Here you will learn how to create and set up your first account and we will give some material, so you know where to look at in case you need additional information. The first thing you must do when you get into DEXCell for the first time, is creating an account for your client. Let's say you want a Professional account with 50 DPs (Datapoints). You will have to follow the next steps in order to create it. 2. Once done that, you will see the next screen divided in 3. Here, when you have more accounts, you will see the Active accounts that you have, the Expired ones and the Applications, which mean all those applications that are pending approval of DEXMA's sales department (such as new accounts, upgrades, renews...). What you must do here is click in Create a new account. 3. Doing this you will be redirected to the next screen, where you must fill the blanks to perform the account as you desire. You should write a distinctive Account name, so you can find it easy in the platform. As for the license, you must choose the privileges your customer is going to have (in this case Professional DP). With this license you have access to 20 Data points so, since we wanted to have 50, you must add 30 in the blank left. Then, you must define the period that the account is going to be active (after that period you should renew it if you still want to use it). Additionally, you can add SMS credits (the number of messages you want to buy so you can be warned of real time alerts) and some comments. 4. When everything is ready and you accept the terms and create the account, the next message will show up. 5. Now, until DEXMA's sales department accepts your request, you will see the new account in the section Applications from the Account management. Now that you already created the account, and once the Sales department has accepted it, you can start configuring your new account! Finally, and not less important, you will have to give access to your customer to this account. After setting up your account the only thing there's left to do is to start playing! DEXCell Energy Manager has many options and applications with the aim of making your work easier. The most common extra things that our customers tend to use, besides the basic set up, are the reports and alarms. Additionally, there are some applications that we keep doing to ease the work and that you can find here. DEXMA has a platform with some courses that enable you to be totally trained to use our tool in less than 3 hours! We will give you access to it directly so you can follow the courses as soon as you can and, when you are finished, you will receive a certificate according to the knowledge acquired. You can access to this platform by clicking here. As stated before in this article, for any problems that you may have we, you can try looking for the solution on our platform DEXMA support or, if you can't solve it, we will be glad to answer all your questions. 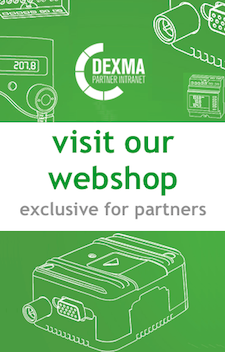 So, do not hesitate sending an email to support@dexmatech for any technical problems or doubts about DEXCell and partners@dexmatech.com for financial doubts, we'll be delighted to help you and make your experience with us as easy as we can.